For the 5th day of our “Twelve Days of Pillows” we are channeling our inner-Kate Spade. 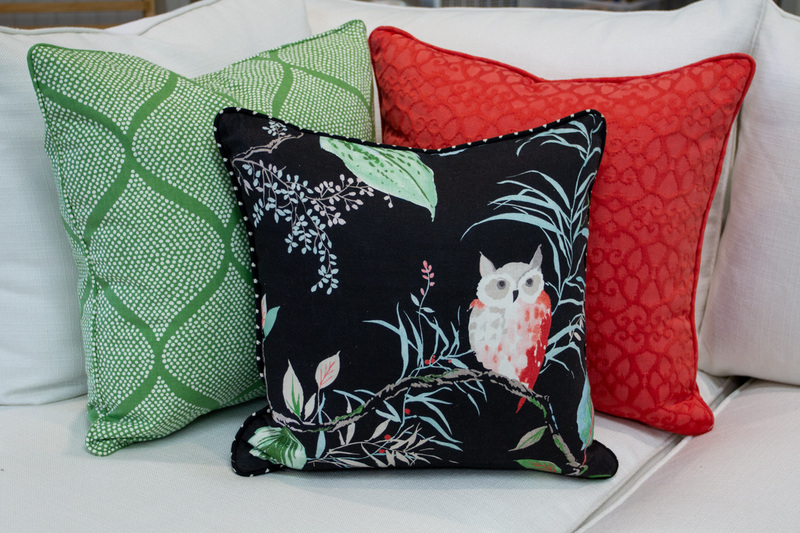 These pillows were made for each other, with the green and corals perfectly complementing one of our favorite fabrics – “Strix Black” (owl print). We think this pillow combination would brighten any home and work for any season! Come check out our large selection of “Ready to Wear” pillow covers and freshen up your couch or chair for 2019!